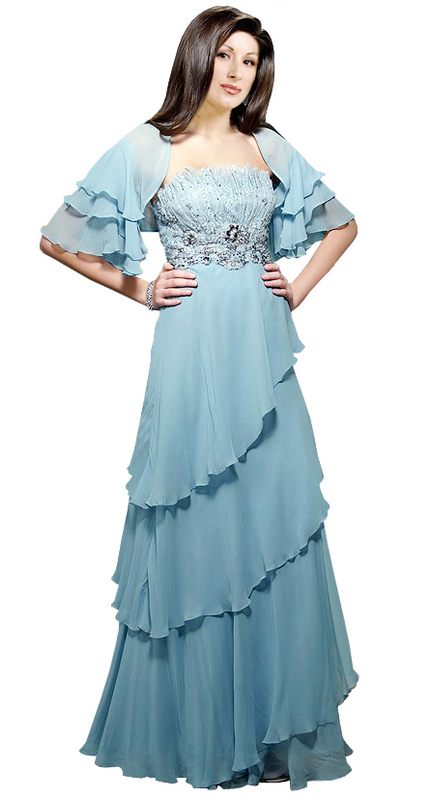 Look dazzling and stylish in this �Unusual Mother�s Day Gown�. 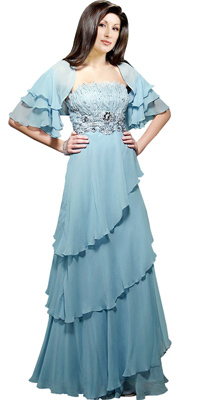 Unique features that set this dress set apart from others are alluring elaborated bodice and elegant layers at bottom. Matching short bolero having wide layered sleeves add further enhancement to this outfit.